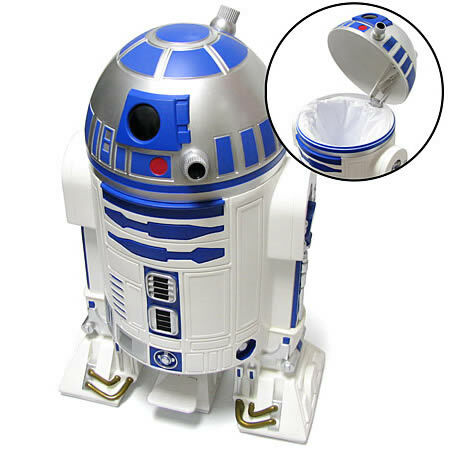 If you are bored of your old and simple trash bin, then you can swap it with the Star Wars R2D2 TrashCan that comes to you from a galaxy far far away…especially for the Star Wars geeks out there. Available in Amazon for $139.99. 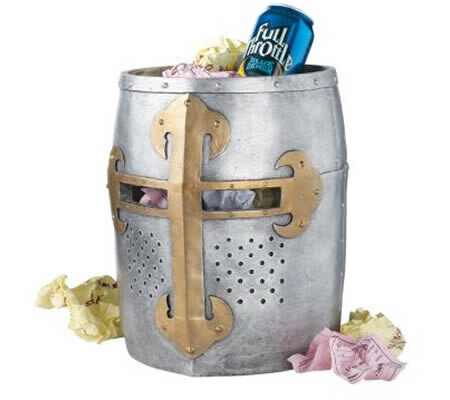 Add a medieval touch to your cubicle or office with one of these cool new Crusader's Great Helm Gothic Trash Bins ($50). These gothic wastebaskets are styled after 12th century great helms, aka helmets, but never touched blacksmith's hands. 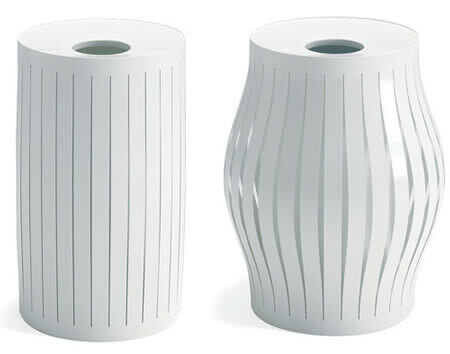 They're cast in quality designer resin and finished in a faux metal for an authentic look. 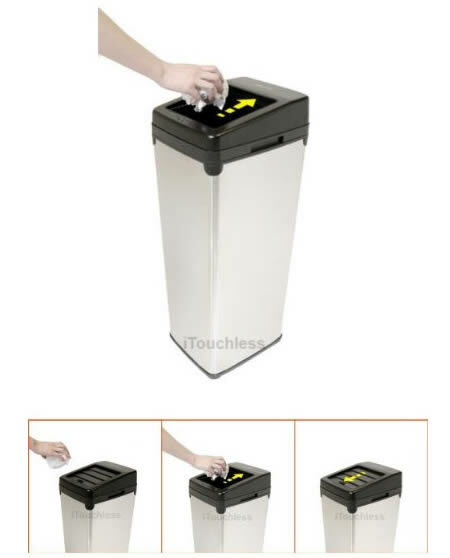 This expandable bin ($65) by Front enlarges and contracts based on how much junk you put in it. It hands down the smartest, prettiest wastebasket I've ever seen. 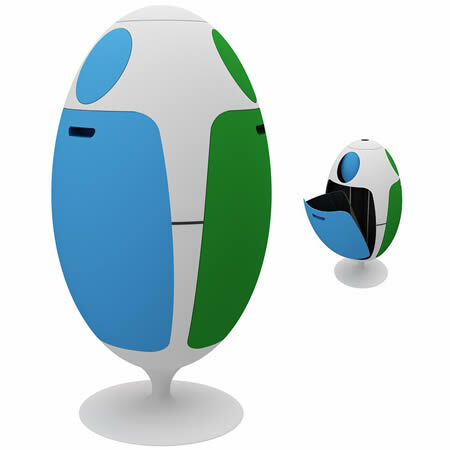 Italian architect Gianluca Soldi, who is deeply involved in environmental issues, designed the Ovetto Bin, little egg in Italian, ($255) to make recycling easier and more organized, offering three segregated divisions for your different types of recycling. Each compartment has a door for bag removal and a lid for dropping waste, as well as different colours to remember which waste to put in. 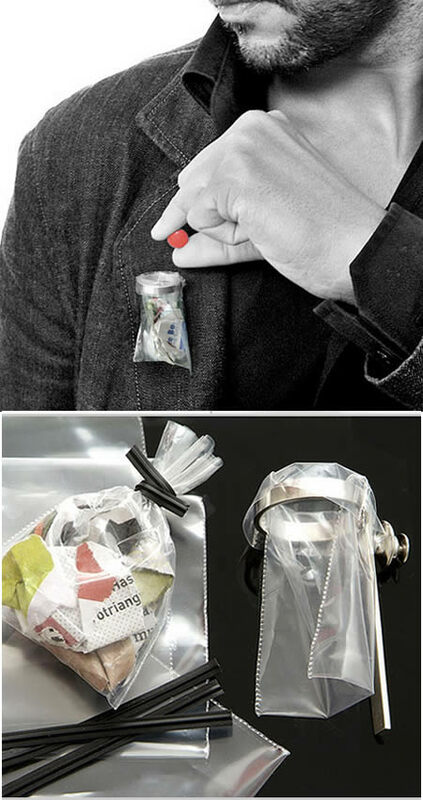 The Garbage Pin by Portuguese designer Ana Cardim turns your daily bits of trash into jewelry. A metallic silver structure holds a tiny, transparent plastic garbage bag, which once full, can be removed, closed with a wire and kept as an outcome of the experience. The piece is sold as a kit that includes spare plastic bags and wires. 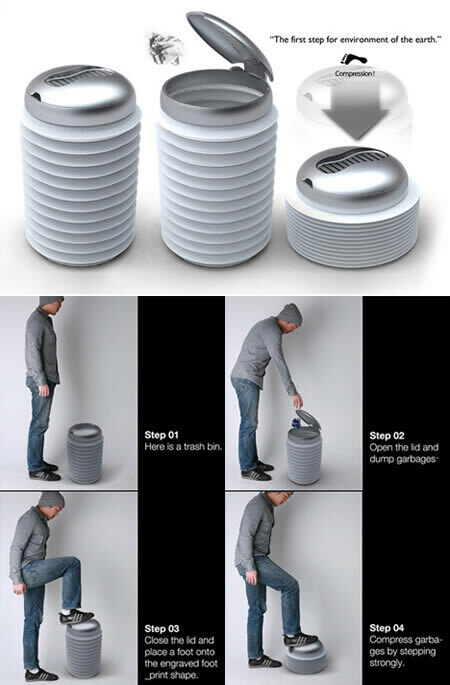 This Sukwon Park & Sungwoo Park design is intended to compress the volume of garbage we produce each day. The name Armstrong Bin derives from the first man who stomped on the moon, just like you are going to stomp on your first garbage. 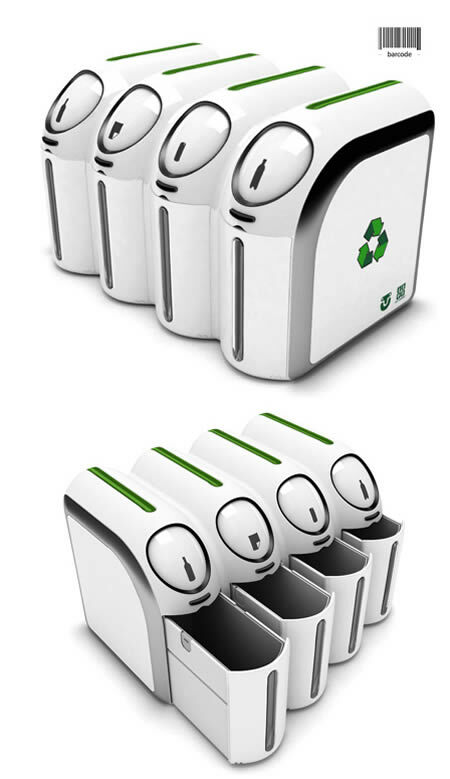 The Armstrong dust bin aims to be the first cleverly named step in reducing the space taken by the garbage we just can't stop making. Don't trick yourself! There's no cure for smelly food. This pail right here thinks it is hot stuff. It's called the “Minus” and it's basically cold hearted. Open the lid, place a banana peel inside, close, click shut, set temp, and press go. Coldness. Do not drop your pop cans in here unless they are all the way empty. It is also probably not a good place for dead animals. 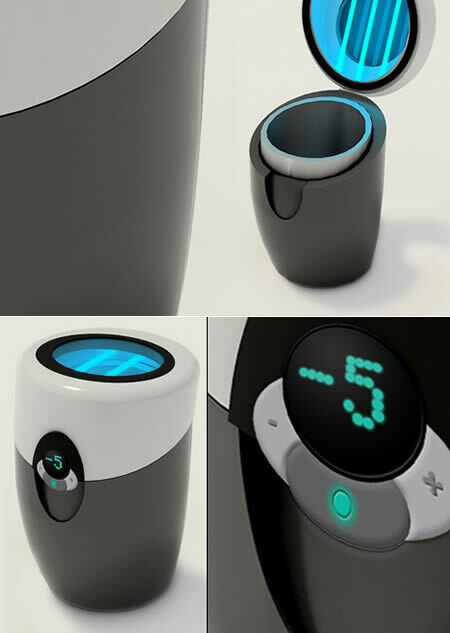 The bin was conceptualized by Cem Tutuncuoglu. Straight outta Turkey. Just before you let your imagination run wild, no, King Midas didn't touch the trash can. Designed by Sylvie Fleur, it is coated in real gold. There are only 25 pieces worldwide. With a minimum purchase of S$15,000, you can place this precious junk at your own house and be very certain that it will remain at the exact spot the next morning. Okay, it won't make your life easier but how cool is trash made entirely of gold.